Every once in a while, a brand just gets you. It offers products for your face, body, and hair that make you feel seen. Such is the case with SheaMoisture, as its product count is extensive and its formulas inclusive. There are so many options—super-hydrating elixirs for dry skin, repairing offerings for damaged hair, and washes and scrubs to smooth and moisturize your body from neck to toe. Then, there are styling products and masks for your natural texture, whether that's thick and curly or fine. There truly is something for everyone and, to be frank, we wouldn't make it through New York winters without a lot of its formulas. So we decided to do a roundup of all the must-haves. 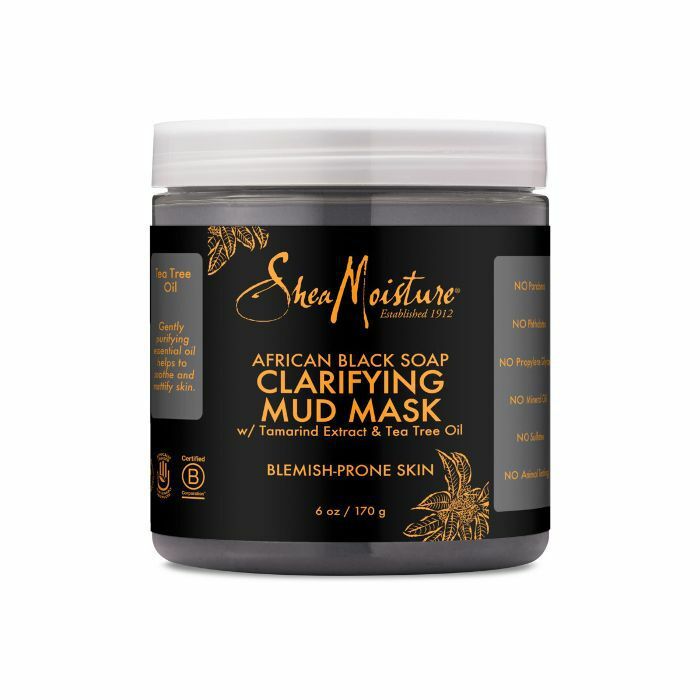 We reached out to other editors, influencers, and read through reviews for recommendations and compiled a list of the best-ever products SheaMoisture has to offer. Below, find our favorites and DM us on Instagram (@byrdiebeauty) if you can't live without one we missed. Keep scrolling for all the goods. 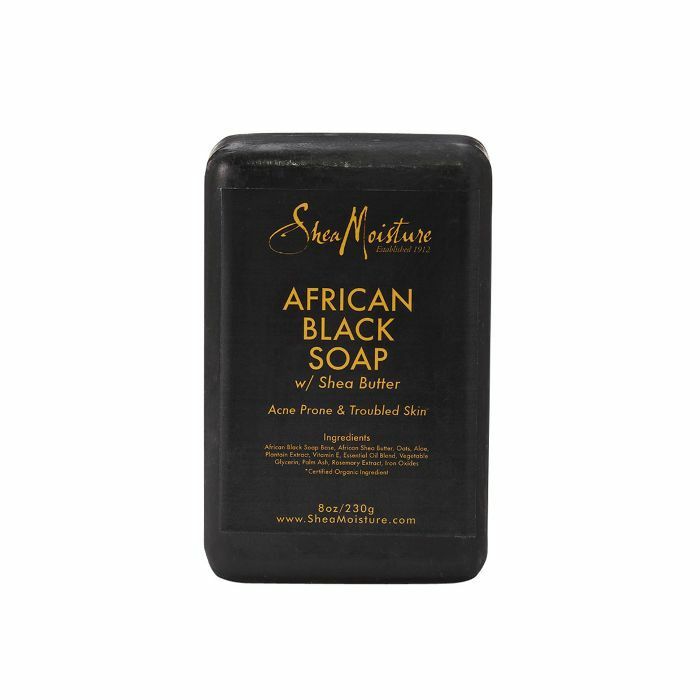 One of the most iconic products of the bunch, SheaMoisture's shea butter–infused African Black Soap is designed to deeply cleanse your skin of dirt or impurities while still keeping it still soothed, calm, and conditioned. All you have to do is lather up and cover your body in goodness. Plus, it helps clear acne too boot. A five-star commenter on Ulta said, "I was suffering from hormonal breakouts for three weeks. I had big, painful pimples on my chin. My friends suggested using this soap and tea tree oil. It worked! I washed my face with this soap every night, then applied two drops of tea tree oil onto my chin. My skin cleared up within three days." 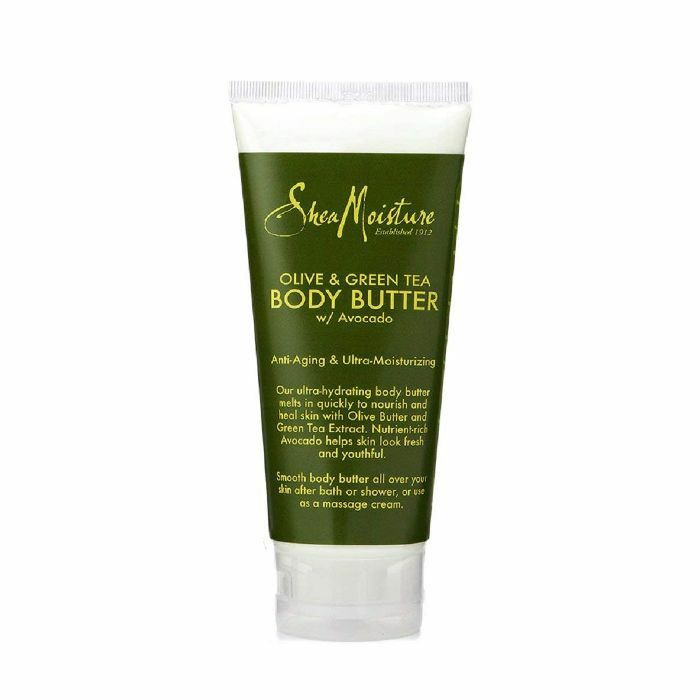 Using olive, coconut, and avocado oils and green tea, SheaMoisture's velvety body butter works to deeply moisturize your skin and anti-age in the process. 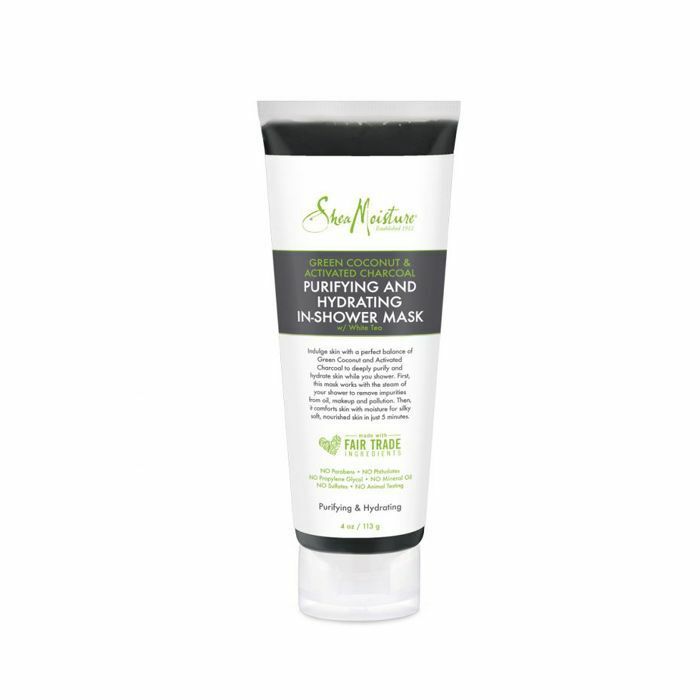 It helps smooth fine lines and crepey skin and add suppleness. "This is the only body product I've found that actually helps with crepe-y skin," Alikat56 wrote as part of her five-star review. "I love the texture, love the natural fragrance. I'm buying multiples at a time so I don't run out. Please don't ever stop making this! You've helped my 60-plus skin look and feel so much better." This precise styling gel works to block humidity as well as control flyaways, while also promoting natural hair growth. It's like the triple-threat of haircare, strengthening and conditioning while preventing breakage. Use a small amount to your styled hair, smoothing any flyaways with your fingertips. Then, apply small dabs to your hairline and edges for a sleek, slicked-back look. A commenter on Walmart's website writes, "This particular product is definitely working for me. I have always been concerned about my edges thinning as I age. I previously was using black castor oil alone at night. 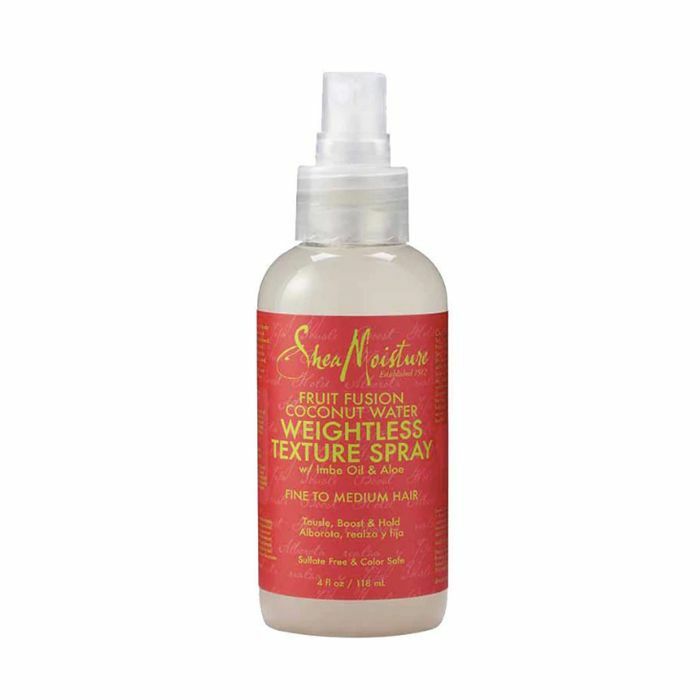 But, this product nourishes and holds down my edges in the daytime. My edges are filling in nicely. I would definitely recommend this product!" 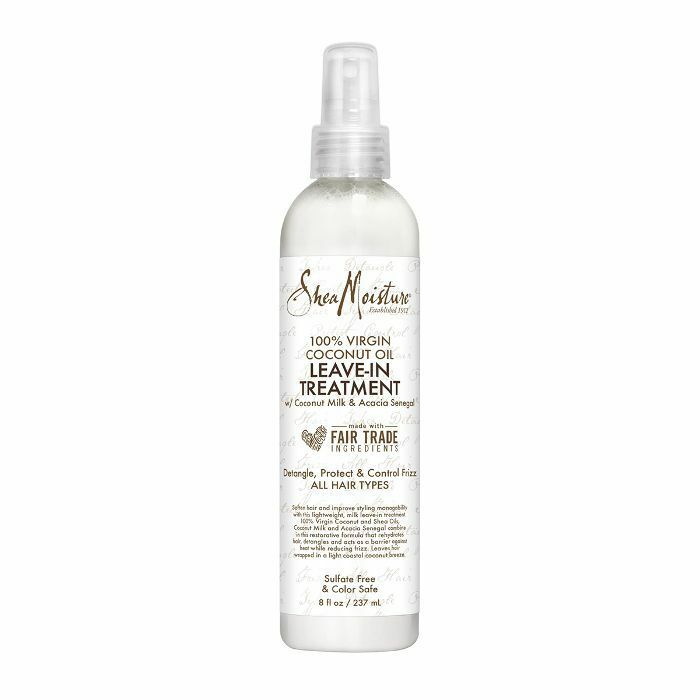 This delightfully scented leave-in treatment incorporates both coconut oil and milk, so the formula is brimming with vitamin E, natural triglycerides, and conditioning properties to nourish, soften, and help retain moisture in your hair. Plus, antioxidants help protect your strands against environmental stressors and other damage. On Ulta, commenter gushes, "My wavy, frizzy hair is now more defined, less frizzy, and softer than ever! I pair this product with hair serum and they are a match made in heaven." 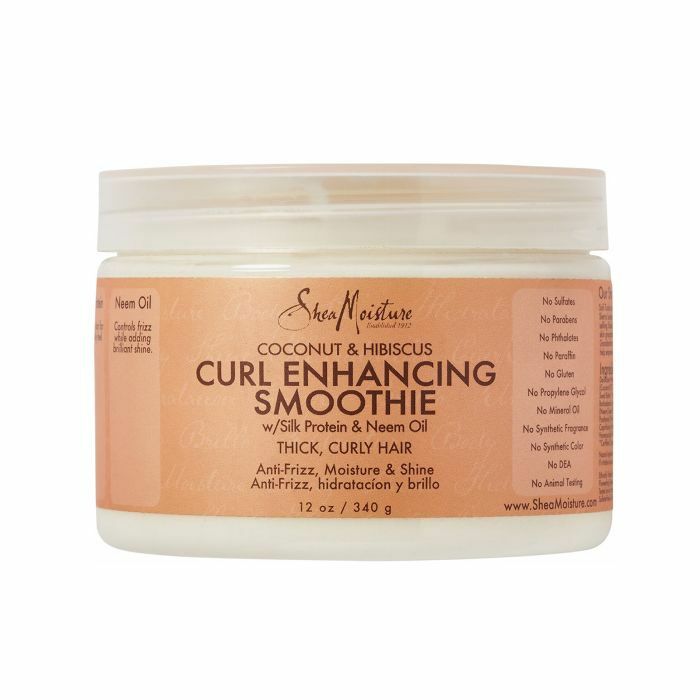 Made with natural and certified-organic ingredients, including coconut oil, silk proteins, and neem oil, SheaMoisture's cult favorite is great for thick, curly hair in need of serious conditioning. "I find hair products work best on wet hair, so after leaving the shower, I don't dry my hair," recommends Bermuda-born model Aliana King. "I split it into sections from bottom to top and rake my SheaMoisture Curl Enhancing Smoothie from root to tip. I've used this product for about two years now. It consistently gives me amazing results. The one product works perfectly on its own." Indulge your skin (and your soul) with this rich massage oil chock-full of organic raw shea butter. The omegas (3, 6, and 9) help rebuild your skin's natural moisture barrier to better lock in moisture, while quinoa replenishes your collagen and elastin. After applying, your skin will feel continuously hydrated and nourished all throughout the day and night. It's incredible, and reviewers on Ulta agree. One happy customer wrote, "I purchased this product to help with my dry, itchy, dull skin. I spend my weekends (and every chance I get) outdoors and the sun and pool water was really drying my skin out. After one use, my skin was transformed and looked healthy again. I had a beautiful glow, however, I was not sticky. The smell is faint but very clean. I apply it in the a.m. after my shower and my skin stays moisturized, glowing, and smelling great all day and all night! I can't wait to see what wonders this product does in the winter!" If you're after a lightweight styling lotion, this is the one. It defines and lengthens curls, hydrates, and smooths your hair cuticle to help reduce split ends. It's super moisturizing but lifts your roots rather than weighing them down—which is perfect for finer curly hair textures. A reviewer on Amazon wrote, "I love using this natural root lift product. I have semi-curly hair that is thinning and this gives me lift. Then I scrunch my hair with a gel and blow dry and get a great style." Bamboo, stimulating maca root, and certified-organic shea butter combine in this reinforcing, replenishing formula to improve your hair's flexibility and strength. "If you are suffering from breakage, major split ends, or loss of volume in your hair shaft, your hair may be in need of a protein boost," Sophia Roe, a chef, wellness expert, empowerment architect, and curl queen, recommends. "Human hair is composed of protein, most notably keratin. Protein-centric treatments replenish the moisture that curly hair loses on a regular basis. Brit Watkins, the curly hair goddess herself, says this treatment leaves her hair feeling shiny and ultra soft. It's excellent to use twice a month to give your hair a hefty dose of protection, rejuvenation, and, of course, moisture!" 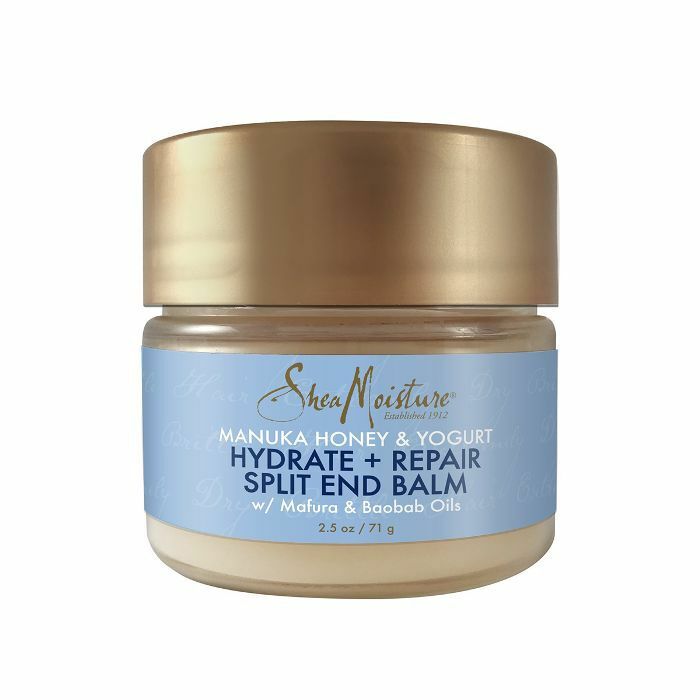 According to the brand, this balm seals and reduces the appearance of split ends by 89%—which is incredible. It uses certified-organic shea butter as well as a Manuka honey and yogurt blend to block humidity and hold your ends together (so it looks like a fresh cut, even when it's not). "This stuff is amazing!" one Ulta commenter raves. 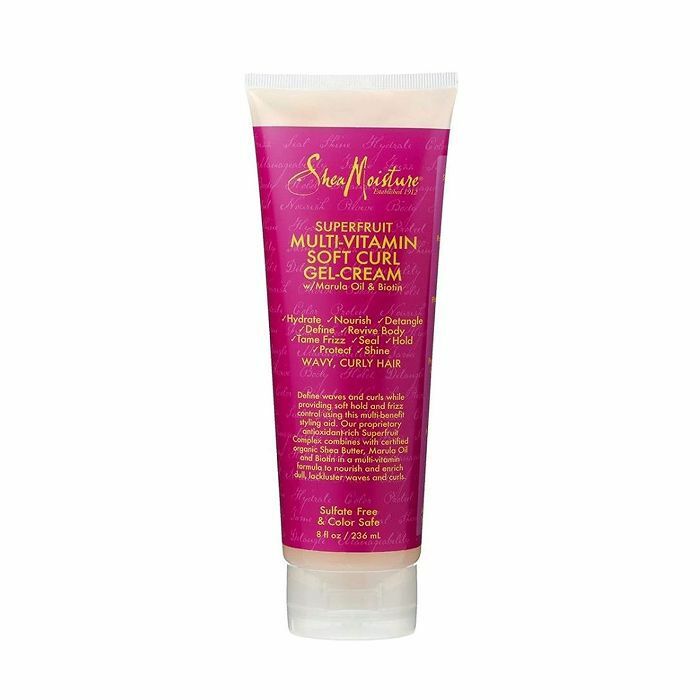 "I love SheaMoisture and use a variety of their shampoos and conditioners. I have straight, thick hair with some balayage highlights and my ends were super dry so I tried this stuff and it worked! I haven't had time to get a trim but this balm really makes it look like I just got one. I tried it on dry and damp hair and I prefer it on damp. The key is to use a tiny amount and warm it with your fingers then gently run them through your ends," she says. 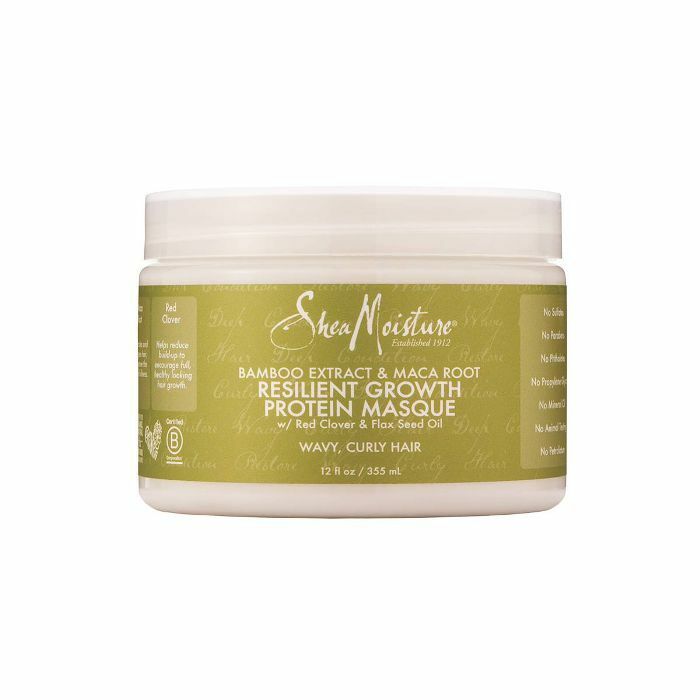 Rice proteins used in this formulation help add volume to your curls by thickening individual hair strands and smoothening any frizz, while certified-organic raw shea butter rich in fatty acids and vitamins delivers intense hydration to promote hair growth. Then, the all-natural cleanser (with apple cider vinegar) gently washes any dirty accumulation or product buildup with peppermint and coconut oil to protect and prevent breakage. A reviewer on Amazon wrote, "I love that it's all-natural ingredients number one. The scent is absolutely mesmerizing to me, and my hair feels great after I shampoo, not stripped and dry. It is also gentle for color-treated hair. I tend to keep two to three different shampoos on hand just to have a variety, however, this one makes me want to never use another shampoo. I can say I'm officially hooked." This styling spray is amazing for those with fine hair as it delivers a balance of body and definition but feels entirely weightless. Organic shea butter and coconut water, along with a blend of dragon fruit, lychee berry, and green apple extracts nourish and energize your hair, adding tousled texture and shine. 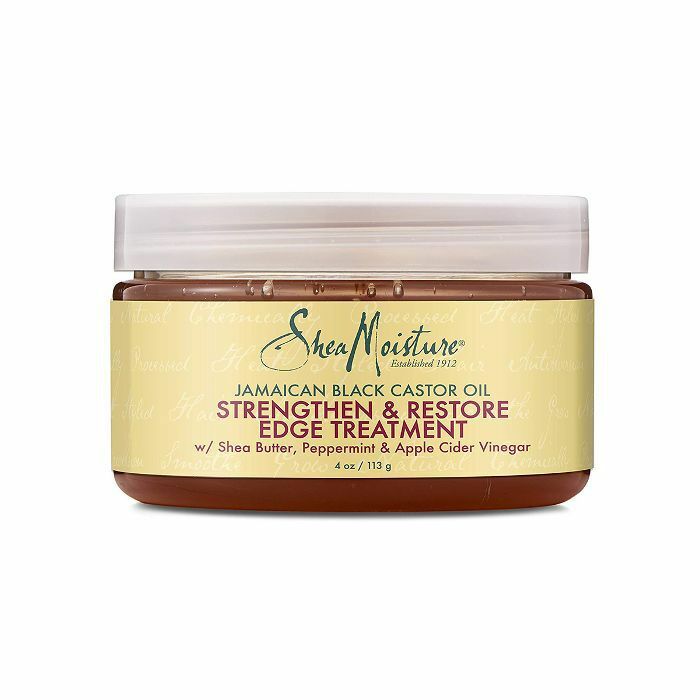 A review on SheaMoisture's website reads, "Few products actually work well on my hair since it is both curly and fine—this is perfect. It also allows my hair to have shape when it is very humid outside. I hope I can always find this spray!" To easily draw out dirt and congestion while helping absorb excess oil and improve the appearance of your skin, try this blend of African black soap, raw shea butter, tamarind extract, and tea tree oil. The soap works to clear up breakouts, while tamarind is a natural astringent to exfoliate and brighten your skin and tea tree oil promotes healing courtesy of its natural antiseptic properties. This is the perfect remedy for hormonal acne. "I use this every other day, and it's really helped keep my acne under control," says one commenter on Ulta. "I'm not of fan of the smell, but that's a small issue compared to how well this works for me. I have combination and acne-prone skin and this mask does the best job at keeping my breakouts to a minimum. It also leaves my face feeling fresh and soft after each use and doesn't bother my skin in any way, even though I use it a lot. I sometimes use it if I happen to break out on my shoulders or upper back, and it still works wonderfully." 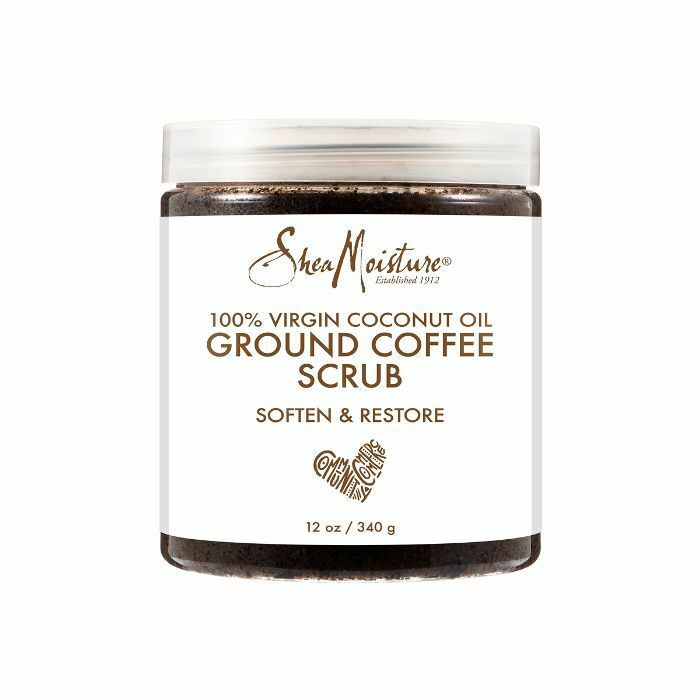 To gently exfoliate your skin—whether it's dry, dull, rough, or just needs some extra TLC—this 100% virgin coconut oil scrub is amazing. It offers lightweight hydration, antioxidant- and caffeine-infused exfoliation for toning and protection, and a suppleness that's practically unprecedented. A five-star reviewer writes, "This scrub is fantastic! It has enough grit to it to get every bit of dry skin off but it's not harsh at all, the coconut oil acts as a barrier so as you scrub the oil is moisturizing the skin. The smell of this is out of this world, like a fresh pot of coffee brewing. The size of the tub for the price is excellent, you get quiet a large quantity of product. My favorite thing to use this for is to exfoliate prior to shaving especially around the bikini area where I'm most prone to breakouts." 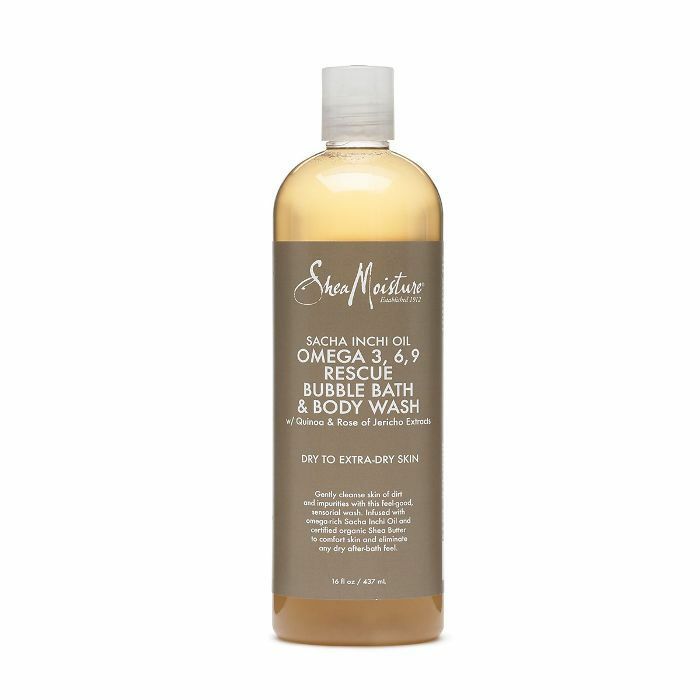 We love an in-shower product—a formula meant to save us time and get us out the door faster. 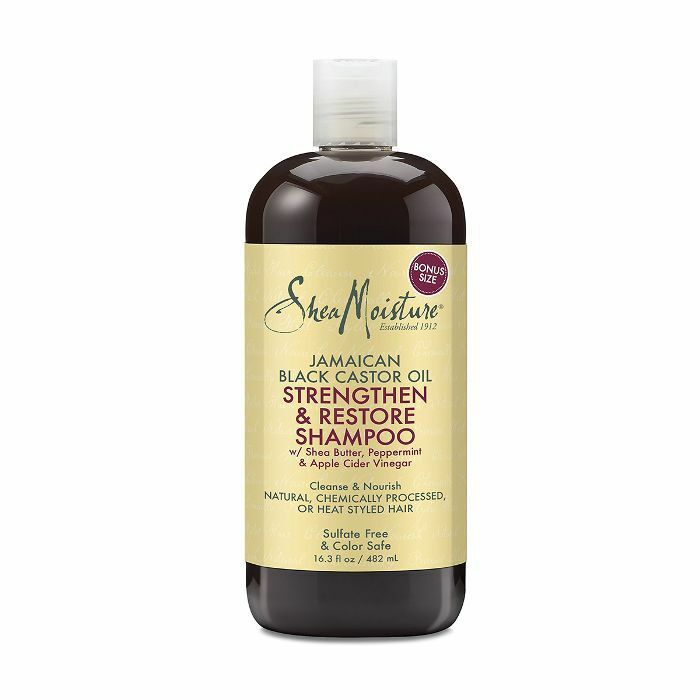 This one is infused with green coconut, has activated charcoal that balances any oily roots, moisturizes mid-lengths and ends, and helps your hair dry really nicely straight out of the shower. "I love the smell, it's easy to apply, and works super well," a reviewer wrote on Ulta. "I feel like my hair game has been lacking lately, but this in-shower styler helped to add some life and body back into my waves. Will definitely be transitioning to this hair product now!" This antioxidant-rich styling gel brings back vibrancy to your hair as it styles and defines your curls. It mixes raspberry ketone, goji, açaí, and guava extracts with organic shea butter as well as marula oil and biotin to help strengthen and support your hair's elasticity. "It really helps to define your curls and lock it into place all day," writes one reviewer. Another adds, "I could not be more happy with it! It has just the right amount of hold without leaving your hair super crunchy. Very easy to apply." FYI: Of all the haircare products we tried this month, these were the best.